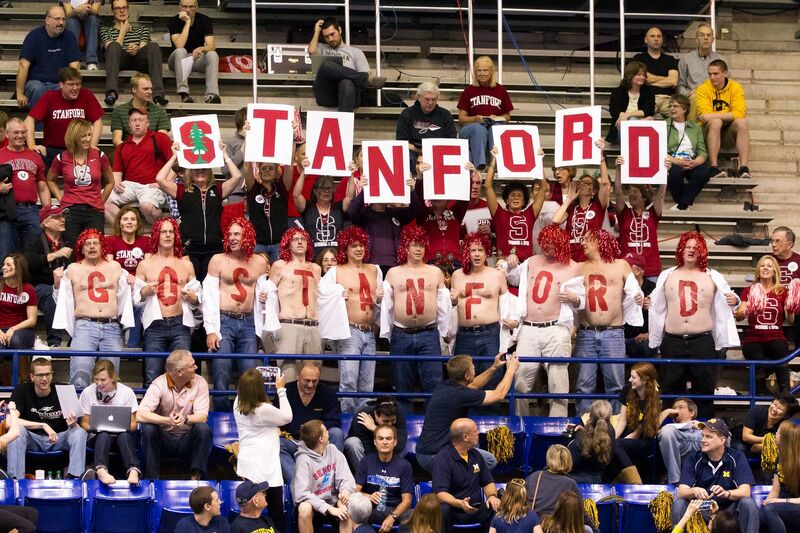 The Stanford Men’s Swimming and Diving team won big versus Arizona State in their annual showdown. The Cardinal won nine out of thirteen events to secure a 157-83 victory. Arizona State did, however, capture both diving boards. The score did not tell the whole story. They fought hard against the favored Stanford squad and put up competitive swims in many events that they did not win. Stanford was deep across the meet, sweeping several races and getting wins from across the roster. Liam Egan was the only two event winner for the Cardinal, he took the 200 and 500 free. In the 200 he led a Cardinal 1-2-3 sweep. Jimmy Yoder was impressive in the 200 butterfly. He fought off hard charging Sun Devil Patrick Park to win in 1:46.53. Park led for 150 meters before Yoder blew past him on the final 50, out splitting Park 27.4 to 28.4. Spencer DeShon won another tight race for the Cardinal when he finished first in the 50 free by just .01. 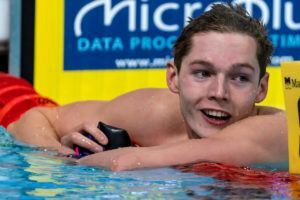 He denied Tadas Duskinas in a race where Duskinas could have gotten momentum back after the Stanford 200 freestyle sweep. It’s obvious that Bob Bowman’s road to improving this ASU squad will come through recruiting. However, the results show that Bowman and his staff are doing a good job with the athletes they have on campus right now. David Hoffer was the top diver on both the 1M and 3M boards. His win on the 3M came by a whopping 80 points. Richard Bohus won the 100 freestyle. His swim is an example of how much better this Sun Devil squad is swimming this year. He was 46.0 in this meet last year, but went 44.2 this time around. Barkley Perry also took a victory in the 200 backstroke. He led all the way. His swim was also a year over year improvement. Stanford will try to sweep the state today when they take on Arizona at home. Arizona State will cross the bay to take on California. To see from where Mr Bowman starts, who is the best swimmer at Arizona State, the biggest name? I don’t know anybody there. And David Hoffer, Ryan’s brother? And about the best swimmers at ASU with their best times? ASU should get better soon just by selling Bowman’s name in the recruiting game. However as a college swimming fan, I’m rooting for a team like NC State to break in the top 5 before ASU…. No name young coaches among the traditional top tier schools.